Dating back to 1912, Gretsch first introduced hardware with modest features and function ability and since then, (dating back over 100 years), Gretsch enthusiasts were always interested in pairing their Gretsch kits with Gretsch hardware. We are pleased to offer this option once again. Gretsch G5 hardware offers an assortment of newly designed stands for drummers and percussionists to comfortably use throughout their kit or percussion rig. 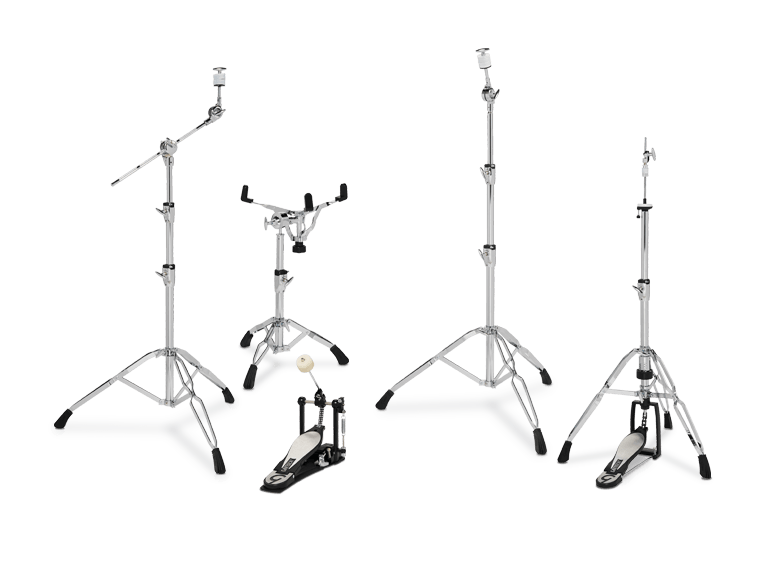 Available as individual pieces or a pack, G5 include a straight cymbal stand, boom cymbal stand, Hi-Hat stand, snare stand, and double chain bass drum pedal. A G5 Double Tom Stand is also available, (sold separately).